After a shaky start to the innings, AB de Villiers unleashed his vintage self as late as 17th over and soon led the team to a victory at their “fortress”, Chinnaswamy Stadium. However, it was Umesh Yadav, who stole the show with a dominating performance for the hosts inside the powerplay overs. Umesh Yadav is back and how! Umesh Yadav is someone who divides opinion like no other. While no one can doubt his credentials as a supreme Test bowler on the favourable conditions, he has never been a match-winner in the limited-overs version of the game and that mostly had to do with the way he comes forward and releases the white ball. And when RCB decided to bid for him in the auction, most people thought it would not bear any fruit. However, looking at the way Yadav operated today, Daniel Vettori and the RCB managed would have surely been relieved. After opening the spell with Chris Woakes, it was the Umesh Yadav that everyone had fallen in love with in Test cricket - full of hostility and sustained pace and more than that - who took over. And the special thing was that there was not much of assistance for bowlers on the surface, but he kept on bowling at the off-stump line. Take Mayank Agarwal’s dismissal for example. When the batsman adjusted his body to lean forward to play the ball full, the aerial movement made sure that he couldn’t get the bat to the perfect position and thus ended up edging to Quinton de Kock. Aaron Finch and Yuvraj Singh were criminal for not using their feet to counter the deliveries, but you could hardly fault them, because Yadav was a different beast altogether today, with the white ball in his hand. With his performance today, Yadav has also laid down a template for other pacers to emulate. While many Indian pacers have failed to shine at Chinnaswamy, Yadav has done well to unsettle the opposition and has also settled RCB's everlasting pace conundrum once and for all. Mujeeb’s ball to dismiss Virat Kohli - the ball of the IPL! The way Virat Kohli batted in the South African series, bowlers from all around the world had already decided in their minds that the man was not going to be stopped anytime soon and rightly so. However, when the team found themselves chasing 156, and with Chinnaswamy track returning to normal, the stage was all set for yet another Kohli saga. 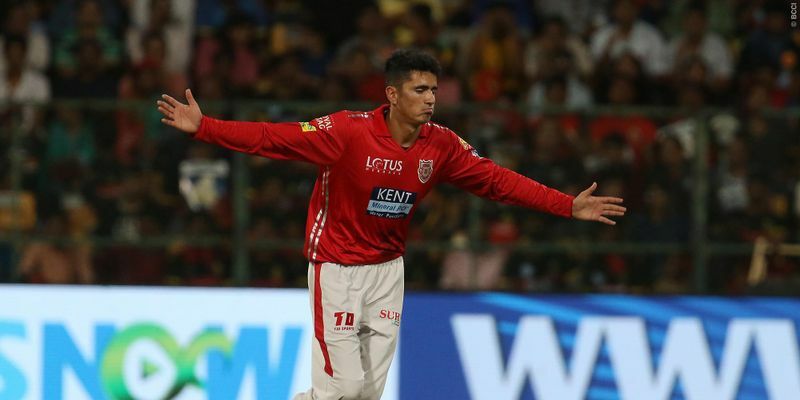 However, Afghan bowler Mujeeb came on the fifth over, went through the gate with a traditional googly to the RCB skipper that spun back in a mile. It was going to be yet another Kohli drive and he also got a stride forward to do the same. But, the Mujeeb delivery had “monstrous” written all over it. The ball jagged back immediately and even before Kohli understood the pitch of the delivery, he was castled, sending Chinnaswamy into shock.